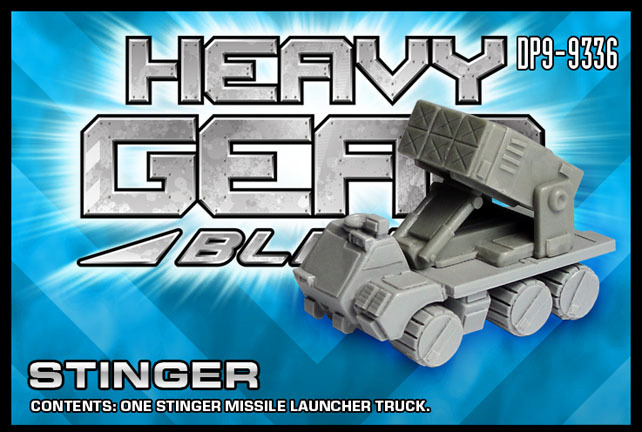 The Stinger missile launcher truck for the northern factions is now available to order on the Dream Pod 9 Online Store. The Stinger uses the existing Camel Truck miniature with large air-burst missile launcher mounted on its flatbed. The pack includes one Stinger cast in resin and packed in a small blister. Also, the Stinger missile launcher upgrade parts are available for order in the custom parts section of the online store for those who want to upgrade their exist Camel trucks.